35mm, DIY, analog, mobile, for a further use of the projection. 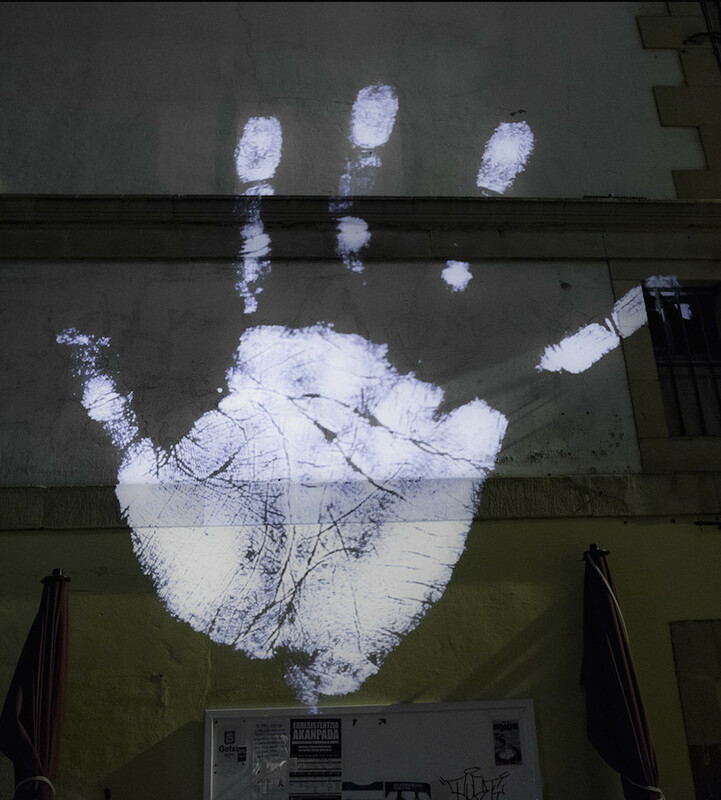 Visio aims to facilitate to the practice of photoprojection using an analog DYI projector. 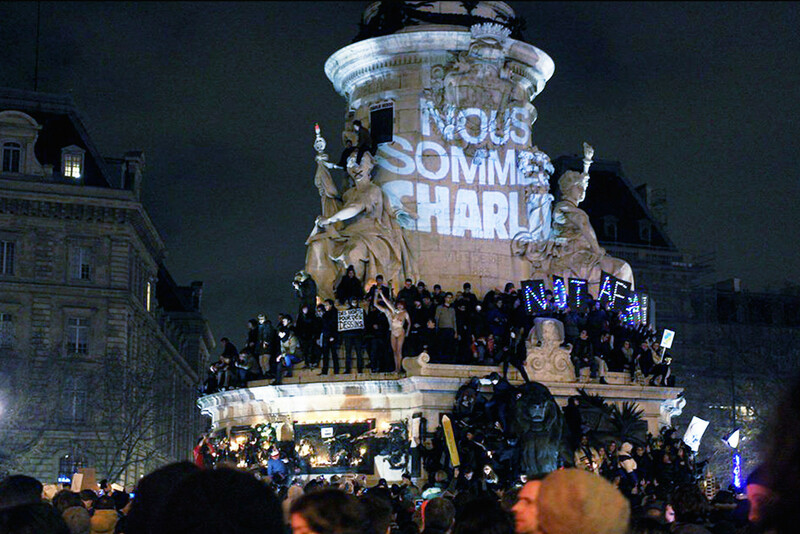 It is a powerful, mobile projection for still images, on which all 35mm lens can be adapted. Visio draws its energy from an external battery thanks to its very high light output - up to 1500 lumens. This makes it a perfectly portable and mobile device that projects a still image on the move. In this, it is unlike videoprojection, the art of projecting moving pictures in a fixed location. With its metal frame and interchangeable parts, Visio is rugged, molded for outdoor use. Photographic quality: superior to digital 4K pixels and pixel-free, thanks to the finesse of photographic grain. Power: 6x higher light output compared to digital projection, equivalent to a 20W-120W videoprojection, or 1000 lumens in its basic configuration. Immediacy: instant enlarger for your messages, drawings, prints - or even fingerprints ( see EXISTENCE project ). These are directly deposited on transparent glass. Thanks to its interchangeable features, all 35mm photographic lens can be framed on Visio! Every 35 lens you have as a photographer is usable. Also, you benefit from an unparalleled optical quality for projecting your images, where images are as detailed as on screens. 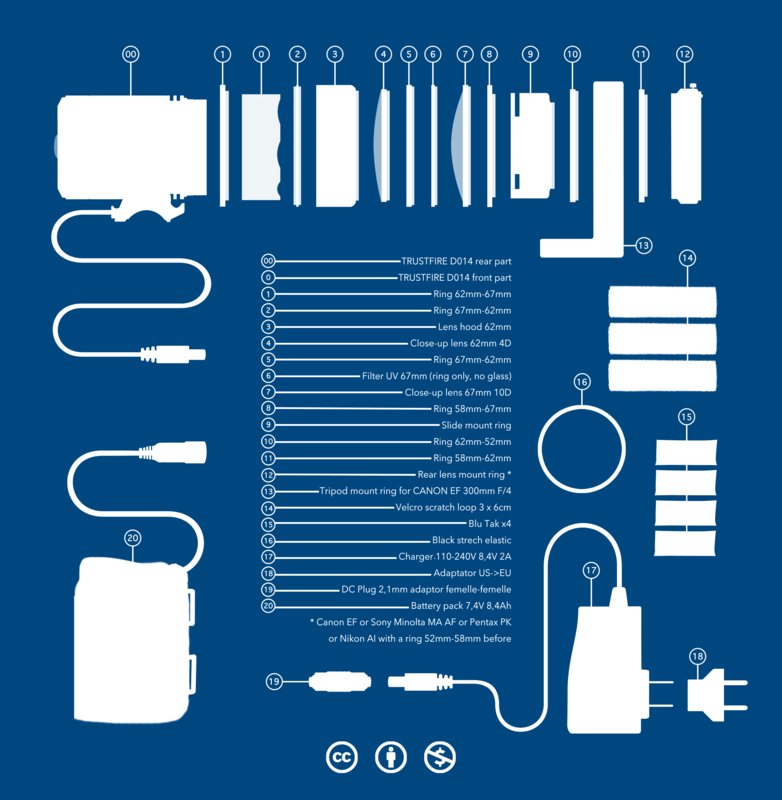 Visio is designed as a kit of parts to assemble, no tools required. The plan is available for free on Internet under Creative Commons license. The installation process is extremely simple. The aim is to design an effective device, strong and scalable. All parts are already directly available, with the exception of the ring - which holds the available picture. It makes Visio an ideal teaching tool for learning and using projection, within close technical and financial reach. Magic lantern, cinematographs, analog slide projector and soon digital lasers are part of a history of technology attached to transporting images through light. The devices have improved in order to offer the most manipulable picture possible until fixed projection fused with animated projection, thanks to digital technology. Despite these advanced devices, the projection can not be considered without its usual imposed limits. Those limits are casual. 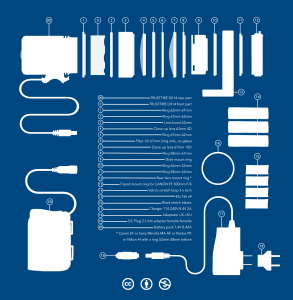 They are things such as its cost, the relative fragility of the devices, their power consumption and volume. The quality of the picture, significantly lower compared to analog technology, can also be added to these limits. In fact, despite all the technological progress it has experienced, projection is confined to individual living rooms and rarely outdoors for professionals. Visio is a projection box for photographic lenses. It was thought of in the idea that projection is the opposite movement of photography. Photography projects a picture towards the film; the projection replaces the picture in space. Photography disembodied a subject into a picture; the projection reincarnates the picture. Photography is a recording; projection is a restitution. Photography is timeless; projection is an event. Photography reduced scale; projection enlarges. Visio is a photography enlarger that operates outside the laboratory. It replaces the photosensitive sheet of paper by the outside world and all its surfaces. Also, it gives the picture visibility on a human scale. The real subject that was once only the reference to the image becomes its very support. It is the incarnated picture, for the time of the projection. The world is a screen, far from a clean sheet. The world is the basic material, infinitely diversified and matrix to all creation. 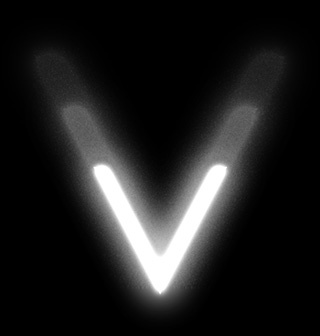 Visio invites one to reflect upon the inverted return of the picture through light. The camera lens, initially creating the image "towards" us, is now used in the opposite direction to return the image in front of us. It is not the light that comes towards you but the contrary. The question is no longer how one creates a picture, but what can it embody in reality. The photographic or projectionist approach are two sides of the same coin, two fragments of what is visible generated by projection. Visio operates with a trustfire DD -14 bicycle lamp of 7 LED XM - L2 U2, surrounded by a parabolic mirror, all shaped like a heat sink. The internal electronic system, the driver or regulating circuit provides a constant current to the input of the LED. Each LED is located at the focus point of a parabolic mirror, so that all the emitted rays reflected by the mirror are returned in parallel. This results in two different streams : 1) a main luminous flux resulting from the reflection. 2) a divergent flux dispersed without being reflected by the mirror. The main flow generates a powerful light spot and the secondary flow, a wider circle and less light. The brighter the spot is relatively to the wide circle, the more the rays reflected by the mirror are large compared to the non- reflected rays. This setting is mostly due to the depth of the parabolic mirror. It is then necessary to converge the parallel flux in the projection lens and pass it through the slide. For this, Visio uses a dual condenser. It is a set of two convex lenses set in front of the lamp. This double lens has a diameter slightly greater than that of the slide and allows a total focal length of 8 cm. In other words, the rays arriving in parallel will converge at approximately 8 cm, precisely at the projection lens. In this way, the condenser concentrates parallel flux in the middle of the projection lens. Concentration of a parallel flow to the condenser outlet. The slide is placed at the outlet of the condenser. The flux spreading through the entire surface generates a uniform illumination of the picture. The slide holder ring has to be at the right distance. It is important that the slide is located at the right distance from the projection lens. This results in a powerful light flux passing through the transparent image and concentrated into the projection lens. 1. 7 LEDs emit a light flux, part of which is reflected by their mirror. 2. The reflected flux propagates in parallel rays and returns in the first condenser lens. 3. 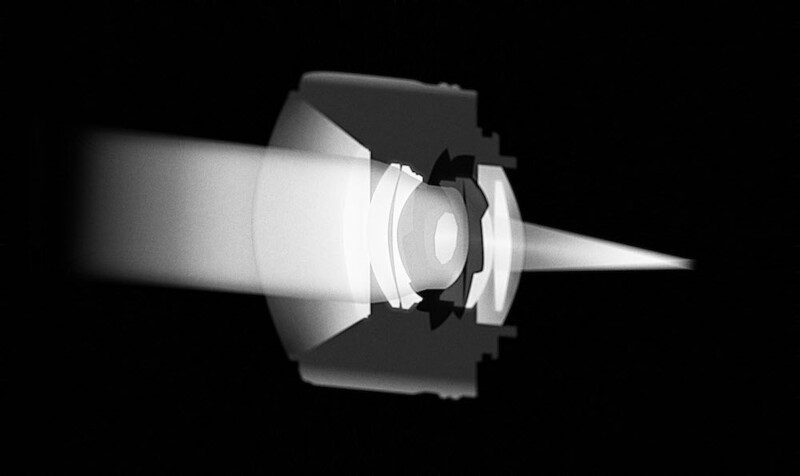 2 condenser lenses converge the flow at the center of the projection lens. 4. The transparent image is set properly at the outlet of the condenser and away from the lens. Through its design ring, Visio adapts to any 35mm mount and some medium formats. As we have seen, the slide must be located at a particular distance from the target; this distance is called the mechanical draft. All 35mm lens aren not all positioned at the same distance from the film. For example, a Canon EF lens is framed at a 44mm distance from the film, while a Leica R lens frames at 47mm. This distance is determined by the manufacturer of the frame, as well as its diameter or its attachment system. This means respecting the distance for each brand of lens. 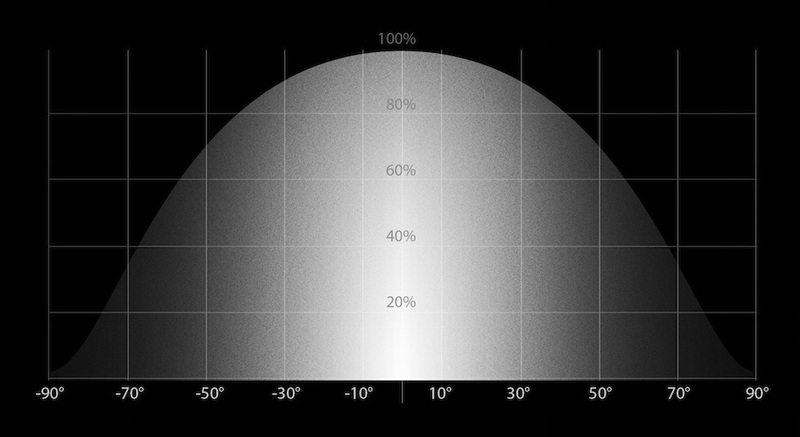 If it is not respected to a certain extent, it will be impossible to get a clear, focused image at a very far projection distance or at a very close one. 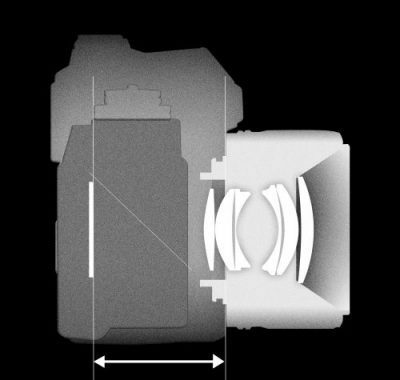 In projection, the lens can be framed at equal distance or slightly less than the recommended draft distance. The CANON EF mount can be directly screwed while respecting their drawing range (in a suitable measure). 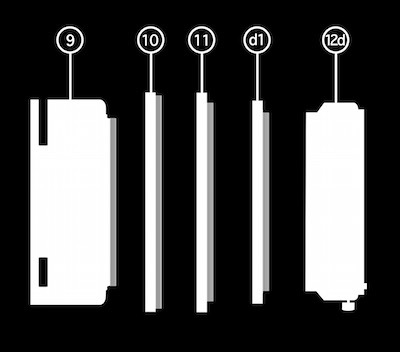 The NIKON F, the PENTAX K and the SONY A have mechanical drafts included between 44mm and 46,5mmm. It needs the addition of a ring between the slide and the frame. This ring allows these mounts to meet a longer drawing range. The M42 mount is a screw-on mount that allows a circulation of 45,46mm. It is framed by screwing on the penultimate ring (58mm - 62mm) 3 rings before screwing the M42 ring (52mm - 42mm). All other 35mm mounts can be framed from an initial mount such as Canon EF , Nikon F or M42, on which one will adapt an intermediate ring. In all these cases, the mechanical draft in these new frames is respected, since they are mounted on shorter-drawing frames. The lamp is composed of 7 LED XM-L2 U2 surrounded by a parabolic mirror. The lamp body is shaped as a heat sink to efficiently dissipate the heat. The electronic system contains a driver or current regulator circuit. Its role is to ensure a constant intensity to correctly power the LEDs. 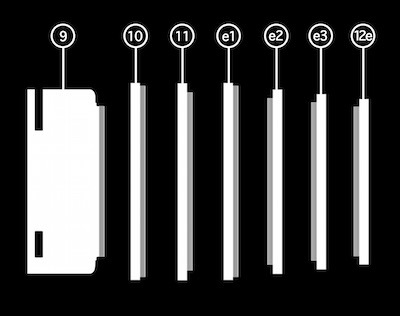 Out of the factory, the XM-L LEDs are grouped into batches according to their actual measured performance, a regulated distribution called binning. 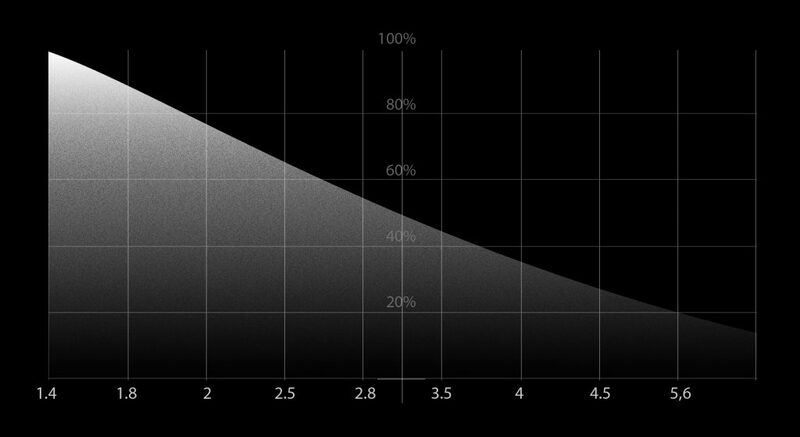 The XM-L series has scaled by the following: U5, U6 and U2, the latter showing the most efficient LEDs. 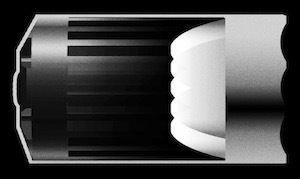 U2 versions are theoretically capable of delivering 1000 lumens 10W, a ratio of 100 lumens/Watt. 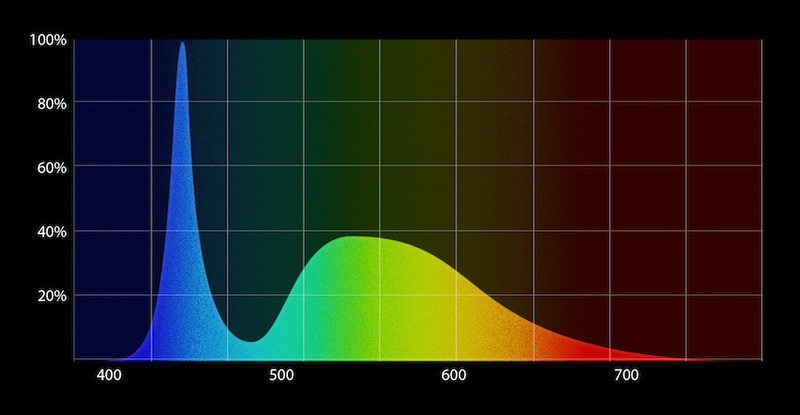 The XM- L2 U2 LEDs emit radiation of 6500K relatively close daylight. At constant temperature, the energy performance of 1000 lumens / watt is also constant. Nevertheless, the stronger power, the higher the temperature rise. Such rise will be important and will decrease the performance linearly. Using the lamp at full power in a hot, unventilated environment is not recommended. Efficiency of the lamp according to the operating temperature. The energy efficiency of the lamp is initially 100 lumens. However, with prolonged use in a hot and unventilated location, the lamp heating may lower the rendering. This will lead to a decrease of the brightness and a lower discharge time of the battery. It will also lead to the deterioration of the lamp electronics, which tends to a lower performance. The DC adapter female-female plug allows the charger to be used as main transformer for direct main connection for a longer utilisation. In this condition, the power of the projector depends on the power of the charger (2A). Warning, Visio shouldn't be used in a hot and unventilated place ! Use of a projector obeys to simple optical and geometrical principles. By choosing the most appropriate lens, the point of view and the best conditions, you'll be able to use the full potential of your device. In projection as in photography, the optical specificities of the lens remain unchanged. The more opened and bright the lens, the brighter the projection. 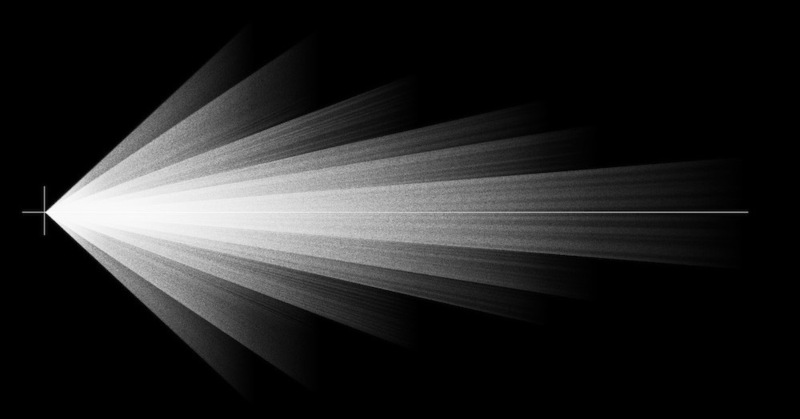 For example, a projection made with a lens opened to 2.8 is two times brighter than F:4. It is strongly recommended to use lenses of the greatest aperture possible in order to enjoy the highest possible brightness. Fixed focal lens lengths are particularly suitable because they offer larger openings while remaining lighter and less expensive, for example : a 50mm F / 1.8. As in photography, focal length determines the angle of view and depth of field. The longer the focal length, the shorter the depth of field. In photography, the choice of the focal is often determined in relation to the distance between the camera and the subject. The same logic is used in projection, the focal length must be chosen according to the distance of the projectioner from the screen. If you are close, choose a normal or short focal length. If you are far away, choose a longer focal. You can project the same size of picture if you are far with a long focal length or close with a short focal lens. The choice of the focal is adapted to the projection conditions. In the table below, you will find the size of a projection paired with the chosen distance and focal length. By following the red line, one can see that the projection size remains constant by compensating the focal distance. For example, one can project a base image of 2.5m, 1m with a 28mm lens or 7m with a 200mm. 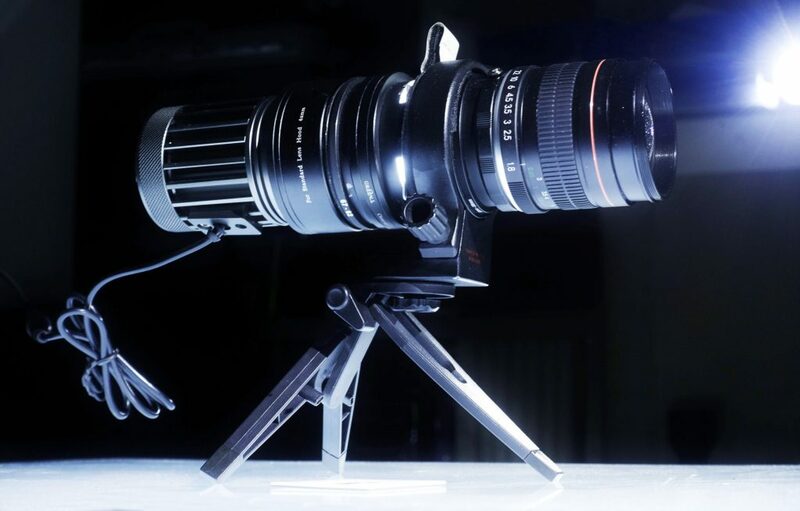 For long focal lenses, it may be profitable to use medium lenses using an adapter, a 67 Pentax 105mm F / 2.4, for example, or a Pentacon 150mm F / 2.8. If you want to use an extender, it is best to use a front converter of a large diameter placed in front of your lens rather than a rear converter. It reduces the opening and thus decreases performance. Visio requires the use of 35mm or medium format lens with a manual focus - since the focus ring must be adjusted manually. To obtain sharpness in your projection, simply turn the focus until you get a clear picture. Do not refer to the distance indications on the ring, which are now shifted forward. If you want to project at a very short distance, use a macro ring or intermediate rings between the ring holder and slide the mount to increase the mechanical draft. Recommendation: it is preferable to project as horizontally as possible. The more the projector is tilted, the more it causes a wedge-shaped distortion, and it also causes the apparition of blurred areas. 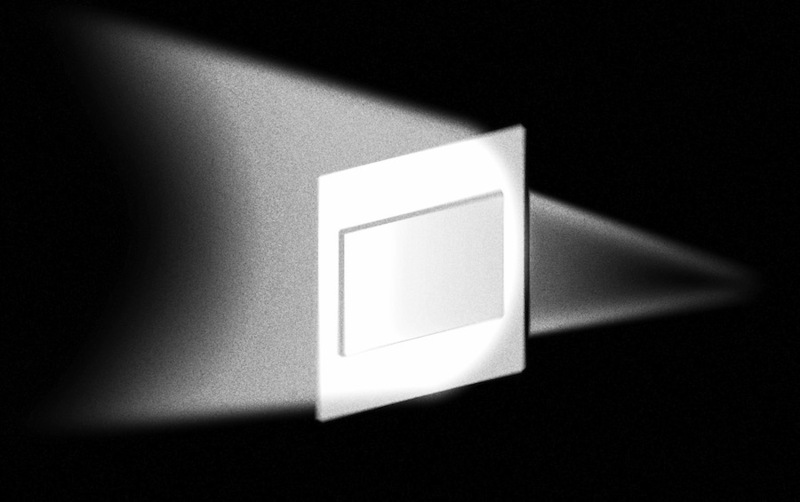 For a projection on high surfaces, the tilting of the projector can be softened by moving further away from the surface and using a long focal lens. For a projection at eye level, it is recommended to place the device at breast height so as to project horizontally. Inclination variation of the projector according to its distance. 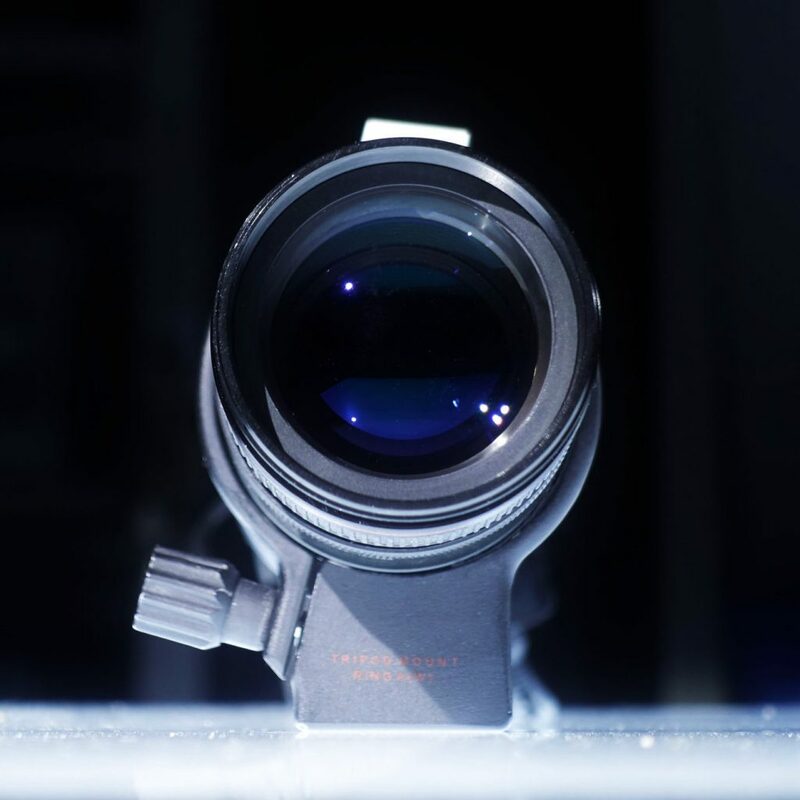 For projection, one will prefer the use of fixed focal lengths because of their high openings, low weight and size, and their reasonable prices. A standard of 50mm lens F / 1.8 indoors and a 85 mm F / 1.8 outdoors is a great base. Second-hand 50mm lenses with a large aperture can be easily found at extremely attractive prices. For 85mm, the Vivitar or Kelda 85mm F: 1.8 is certainly the most accessible in new condition. For even longer lenses, the Pentax 67 105mm F / 2.4 or the Pentacon 150mm F / 2.8, second-hand, mounted on CANON mount adapter appear as the brightest and least expensive solutions. WHAT DOES THE VISIBILITY OF PROJECTION DEPEND ON ? 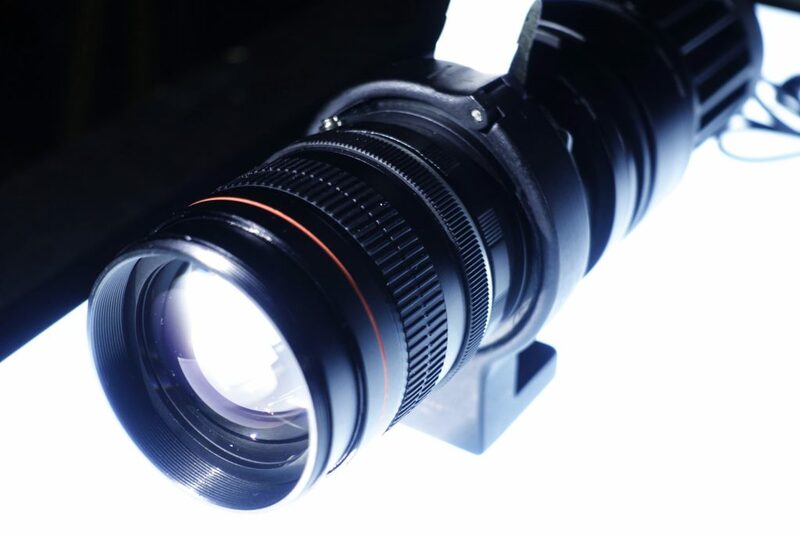 Once the lens is mounted, you need to make your projection the most visible. For this, the light of the projection should be more important than ambient light. Only on this condition will your projections be completely visible. The brightness of the projection depends on the aperture of the lens. But the visibility of your projection depends on other parameters. These parameters are : the size of the picture, ambient light, the appearance of the projected surface, the appearance of the picture and the viewing distance. So here, in order of importance, recommendations relating to each of these parameters. BRIGHTNESS, A MATTER OF SIZE ! As a projectionist, here's what you need to keep in mind: the brightness of the projection depends on its size. You have to see the projection as a stream of light that we will more or less concentrate. A modest projection size is sometimes more favorable than one too large. Because when too large, it becomes luminous. For example, a 2x3m projection is 2x brighter than 3x4,5m and 4x brighter than 4x6m. 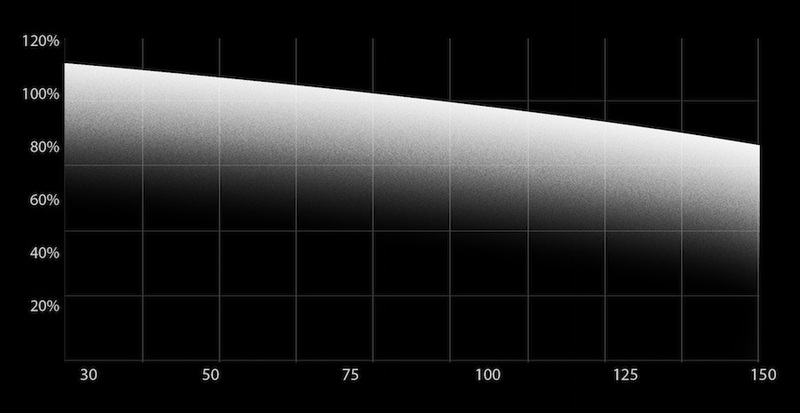 In the last diagram, one can observe that the bigger the size, the darker the number, as to translate the decreasing of luminosity according to size. For a given aperture, one can easily deduce that the bigger the projection, the dimmer the brightness. Brightness of a projection according to their size. The ambient light is the first thing you need to be careful about !Projection fits the environmental conditions and rarely the contrary. If the ambient light is low, the projected picture does not need to have a high light output to be clearly visible. On the contrary, if the ambient light is high, it will take a strong light output to get a good projection. As you are limited by the power of your projector, the maximum size of your projections is limited by the ambient light. This makes ambient light a factor just as important as the power of your projector. It is therefore important to limit the ambient light to highlight a projection, to preffer darker places ! With a little practice, you will determine just by looking at the light around you the right size for a projected picture that you can consider with your Visio. 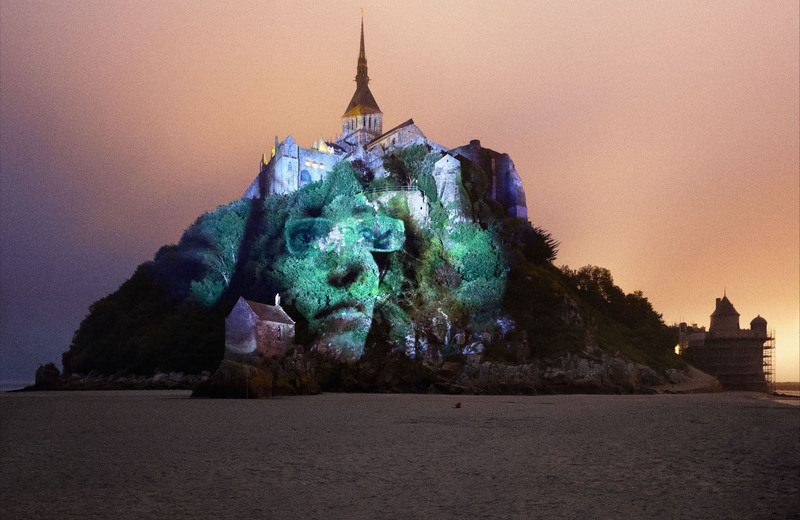 In darkness, a visible projection can go up to 10m width, while under high ambient light it will not likely exceed 1m. The approach of mobile projection is to deal with the light conditions to obtain the best visibility. The Visio give you all the mobility necessary to project in the best possible way. 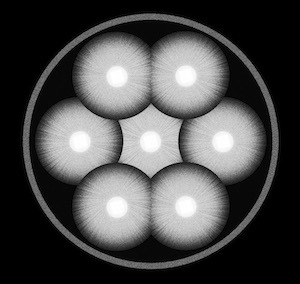 In the illustration above, each circle represents all the shades of light available in a projected picture on a background that goes from dark to light. We can observe how the dark values ​​of the projection are supplanted by the brightness of the background. This erases dark areas and gradually lowers the contrast of the picture. One can conclude that the darker the viewing conditions, the neater the perception of the projection. To appear, the picture needs a screen, a surface, a medium. For starters, it should be opaque and not transparent in order to reflect light. Windows or the surface of the water - due to their transparency - will not show your projections. Otherwise, everything is a potential screen ! Walls, trees, stones, bodies, clothes... The world is a screen on which to project your pictures. Clear media reflect better light on your images than dark ones. It therefore also affects the maximum size of your projection. Nevertheless, a totally black surface may be used for projections of small size. Secondly, the support being a volume, it is more or less transforms your picture. If it is a flat wall, transformation and distortion will be nonexistent. But if you project on different objects or "confused screens", such as the leaves of trees, the image will be transformed, distorted, making it difficult to understand. In conclusion, all images can be projected on a flat screen surface but only easily understandable images can be projected on particular screens. Initial image / image distorted by a support with asperities. Brightness, contrast, and color matter a lot in perception. To make a clear projection, the image must be clear as well. A bright and contrasted picture will result in a projection with the same characteristics. 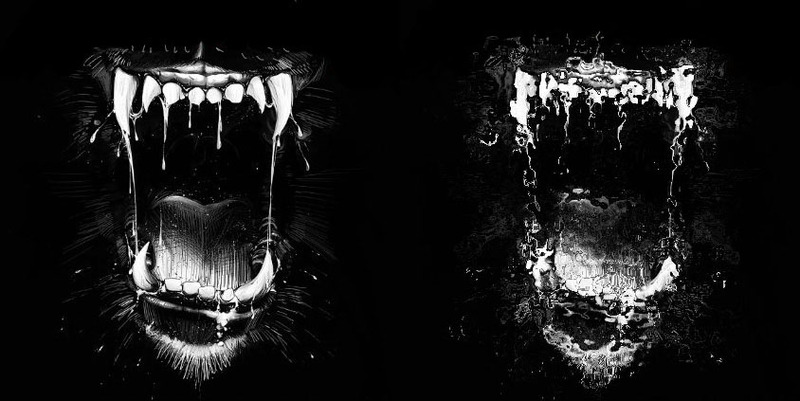 Thus, black and white images are the most effective sources since they have a high contrast with completely transparent white areas, unlike color images that are more nuanced. One can observe in this illustration how the same image with a different contrast appears more or less clearly. Installing a picture in space means to consider how it will be perceived. If you want to make your projection visible, you must make the viewing conditions easy. The viewing distance makes the size occupied by the picture vary in the observing field of the public. A picture projected too high or too far away will be hard to make out correctly, while a picture close to the eye level will be more visible. We must think about the visibility of your image in space. Again, the mobility of the Visio will allow all possible experiments, so enjoy ! Lens aperture : As open as possible ! Size : A reasonable size for a bright projection. Ambient light : Prefer the dark side ! Screen aspect : If projecting on a complicated surface, choose an easily readable image. Image appearance : Clear and contrasted ! Viewing conditions : Make your projections easy to see ! Projecting means to cope with the picture and space. Visio's strong point is its mobility; it will give you the freedom to test, observe, understand and learn projection with unprecedented ease. Carry it around with you with some pictures and take it out when given the opportunity. If you wish to have a greater impact in space, consider multiple projection : several pictures projected with multiple projectors will reconfigure the space and offer a wider variation of proposals rather than a single large image. Finally, take pictures of your projection to show them, share them ! A real camera is preferable to a Smartphone, rather insensitive to light, and a good tripod will be a very useful accessory. VISIO allows you to do what no other projector can: projecting a photo-quality image and freely placing it in space. VISIO is also a throwback to analogue image and slides; high definition digital pictures can easily be transferred onto such media. By marrying the best of old and new technologies, VISIO allows pictures of exceptional quality to be projected in ways yet unexplored. The projector itself is specifically made of pieces mounted together in an incredibly simple way. Except the portable slide-holder ring, all the pieces al ready exist for sell : lamp, ring, lenses or other…Finally, to broaden its practise even further, the blueprint of the VISIO is shared freely under Creative Commons licence. 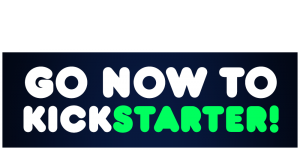 The 20th of june 2017, WE WILL START OUR VISIO PROJECTOR CROWDFUNDING CAMPAIGN. THE GOAL OF THIS CAMPAIGN IS TO SHARE A PHOTOPROJECTING DEVICE WITH UNPRECEDENTED MODALITIES TO AS MANY PEOPLE AS POSSIBLE. VISIO WILL BE PROPOSED WITH A PREFERRED MOUNT, IN A KIT OR ASSEMBLED, WITH OR WITHOUT A LENS. THIS CAMPAIGN WILL ALlOW US TO OFFER A SET OF PERFECTLY COMPATIBLE ITEMS AND TO MAKE A SERIE OF SLIDE-HOLDER RING. At THE END, WE'll ABLE TO PRODUCE THE COMPLETE PROJECTOR AT A LOW PRICE. 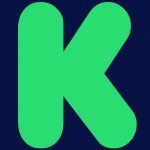 SUBSCRIBE TO OUR NEWSLETTER TO FOLLOW OUR KICKSTARTER CAMPAIGN LAUNCH!